World Osteoporosis Day (WOD) is observed annually on October 20, which marks the launch of a yearlong campaign dedicated to raising global awareness, prevention, diagnosis, and treatment of osteoporosis. The campaign is organized by the International Osteoporosis Foundation (IOF), and involves activities by national osteoporosis societies in over 90 locations around the world. Osteoporosis is a bone disease which results in more disability than that caused by many cancers and chronic diseases. Osteoporosis cut across age and gender. 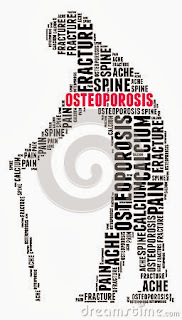 One in three women over 50 will break a bone due to osteoporosis. Let us join hands and be proactive in spreading this awareness campaign. Invite your family and friends to celebrate World Osteoporosis Day on October 20, Sunday, 7 am to 7 pm at the SM Mall of Asia, Music Hall. An exciting whole day of activities awaits you — bone scanning, yoga, zumba, tai-chi, aerobics and many more for FREE! For more information on events near you where you can participate and spread the prevention message that you LOVE YOUR BONES visit www.worldosteoporosisday.org or follow the World Osteoporosis Day facebook fanpage for more information.